The Law of Unintended Consequences: The Theory of Potential was conceptualized by maverick metaphysicist David Birnbaum in the 1980s; it premiered on the world stage in November 1988 via Summa Metaphysica I, then titled God and Evil (KTAV). The work was the finale of a roughly twenty-five year quest by Birnbaum to lance the ages-old classic theological/philosophical problem of Theodicy. Now, the Theodicy problem runs roughly as follows: If there is, indeed, a God who is all-powerful and all-merciful, why is there gross evil? The German philosopher Leibniz is given credit for coining the term Theodicy (in 1710), but of course the particular philosophical/religious ‘conundrum’ spans intellectual discourse from time immemorial. Birnbaum would ultimately deploy one single (lean & mean) concept/dynamic to simultaneously solve the conundrum; it would lance not just Theodicy, but a dozen+ conceptual problems spanning religious philosophy, secular philosophy, and science (see SummaCoverage.com). The concept/dynamic which Birnbaum conceptualizes and deploys? Quest for Potential (infinitely iterated). The Theogony problem runs roughly as-follows: From whence eternal God? Now, many religions dictate that no answer is necessary to the question “because God is by definition eternal.” However, many demanding (religious) souls are not quite satisfied by that answer. Indeed, Lurianic Kabbalah (c. 16th Century), a key strain in Jewish mysticism, and a fount for Birnbaum’s contemporaty metaphysics, is heavily centered on the Theogony issue. The Lurianic En Sof (NO END) would be pegged-off of by Birnbaum to philosophically tether his late 20th century Quest for Potential construct. In any event, Birnbaum realized that his particular ‘solution’ to Theodicy was simultaneously a solution to Theogony. Birnbaum spent about five years – using his (‘primitive’) little Apple II computer/word processor – crafting God and Evil, which, after editing by Ktav Publishing, made-an-appearance in late 1988, as noted above. However, in the course of writing the book, the author became increasingly convinced that his central ‘signature concept’ – Infinite Quest for Potential – elegantly solved, as well, myriad core problems in secular philosophy, metaphysics and, indeed, even in astrophysics. Birnbaum held his fire and focused primarily on Theodicy in Summa I. But he carefully and explicitly embedded the solution to Eternal Origins in his key Unified Formulation: Outline Summary (section 99.00 of the God and Evil book) – and amplified upon it. Birnbaum would return to Eternal Origins in Summa II: Spiritual Man: God and Good 2005, and then in much more focused scientific-oriented form in Summa Metaphysica III: Secular Man: The Transcendent Dynamic (2014). The ultimate and universal ‘core issue’ solved was the classic Eternal Origins question. This issue had been the classic conundrum for secularists and scientists for just as long as Theodicy and Theogony had been problems for the religious. The Eternal Origin question essentially wraps-around the Theodicy and Theogony questions, and, indeed impacts all other key philosophical issues by virtual of its very core centrality. Thus the initial quest for a solution to Theodicy led to an elegant solution to Theogony; a solution to Theogony leads in short order to a solution to the classic Eternal Origins question; a solution to Eternal Origins readily opens the door to a solution to Teleology (cosmic purpose); A simultaneous solution to Eternal Origins and Teleology , in turn leads to resolutions of a series of other classic and modern not fully resolved philosophical-scientific conundrums, Evolution included. All three Summa books consistently parlay Birnbaum’s core Theory of Potential; Birnbaum is consistent through all three volumes: Infinite Potential is eternal; Infinite Potential drives the cosmic order; the purpose of Man is to seek-after his optimal potential (see www.SummaMetaphysica.com). Summa I has not been tweaked since publication in 1988; Summa II and Summa III dovetail seamlessly from it. It is this smooth flow from science through religion which psyched-out the British Randomness/Atheist academic junta in 2013. The Birnbaum ‘dynamic’ seemed to work not only in scientific presentations (see Summa III), and not only in spiritual exposition (see Summa II), but also in his original religious exposition (see Summa I). Birnbaum had discerned a potential natural (non-supernatural) dynamic – Quest for Potential (infinitely iterating) – which was potentially not only at the core of the Divine (if there indeed is a classic Divine) but as well at the core of a secular cosmic order. 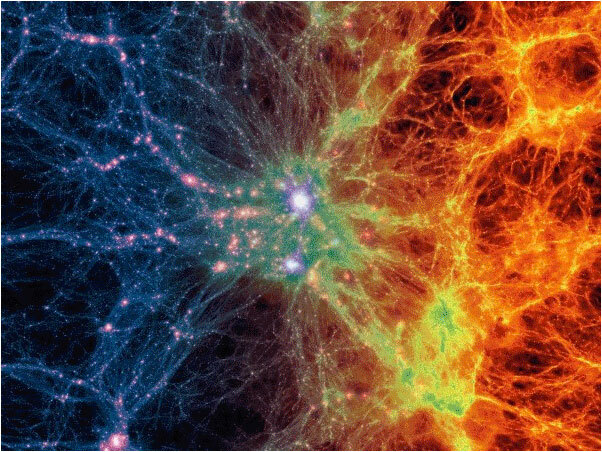 Meaning, the cosmos has a direction and purpose; it is not aimless and one does not have to rely on a supernatural entity to give it direction and purpose (see PotentialismTheory.com). One concept – Infinite Quest for Potential – eternal, the igniter of the cosmic order, the driver of the cosmos – and its purpose. Through a religious lens, at the core of the Divine; through a spiritual lens, the spiritual fount of the cosmic order; through a secular lens, the transcendent dynamic of the cosmos.